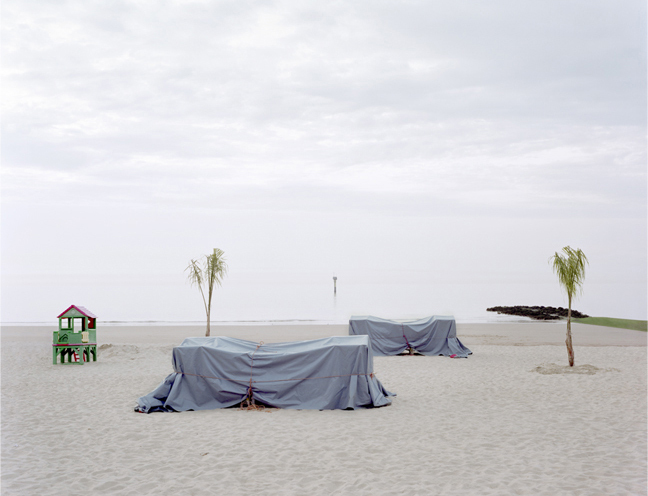 Leisure is a collective work realized by two photographers: Maxime Delvaux and Kevin Laloux. Leisure is defined by the activity that we do outside the time taken by our usual occupations. It is the activities that we choose to do. Those are of all nature: cultural, sporting, recreational, etc. The idea of this work is to analyze the means used to practice those activities as well as the people involved in them. First of all, in a formal way, through the architecture of these places devoted to leisure and the sites in which they are established. This work tends to translate into images the infrastructures and architectures developed by a state or a region, to promote a territory and to make a site attractive in a touristic or recreational way. This project is also about public and private places allowing the practice of a leisure activity. What importance does the city leave them, and how are they implanted in the urban landscape? Further than this formal approach, it is interesting to analyze the use made of these places by people, and the way in which they make those places alive and their own. Photographing these people — in this particular context they have chosen to live — allows us to capture in them something real and personal.